Gerson therapy claims that it is capable of healing the body of the underlying problems that cause most degenerative diseases and cancer. Iodine that is contained in carrot juice, as well as in their use of Lugol's solution, is the most likely explanation. Gerson therapy allegedly cures cancer, and degenerative diseases, by removing toxins from the body. Extreme juicing and the use of coffee enemas characterize it. Thus, use of fresh, raw, 100% organic produce is extremely important to the followers of this protocol. The cure rate for Gerson therapy is a lot less than 100%. There are many reasons why Gerson therapy should NOT work, yet there are likewise reasons why it conceivably might. The most compelling of which are testimonials from real people who claimed to have been cured. The noted African medical missionary, Albert Schweitzer, provided some of the earliest favorable testimonials in favor of Gerson therapy. Max Gerson was reported by Schweitzer to have cured a skin condition in his daughter, lung tuberculosis in his wife, and Type 2 Diabetes in himself. Clever marketing presents a very positive image of this therapy's ability to heal. Nevertheless, Charlotte Gerson herself said, in one of her many video interviews that the cure rate for seriously ill cancer patients was only between 30 and 40 percent. In other words, 2 out of every 3 cancer patients that conventional medicine had given up on ends up dying under her care. Max Gerson wrote that you should expect the following from Gerson therapy. "no actual cure [for cancer]"
"marked amelioration of symptoms and improved general health"
"to inhibit the rate of growth of malignancies"
"in some cases even to cause the individual nodules and metastases to become smaller." "As part of the digestive tract, the most important thing is that we restore the function of the liver â€” the tissue and the function of the liver." Furthermore, you should never overlook the fact that Charlotte Gerson is running a major moneymaking operation. There is a Gerson clinic in Tijuana, Mexico for patients in the New World. As well as a clinic in Budapest, Hungary for patients located in the Old World. One week's stay at her clinic in Tijuana currently costs $5,500, which covers the cost of the patient, and one required companion. The companion is there to learn the Gerson Protocol in order to assist the patient at home for the next 2 years. For more information, Charlotte offers a Basics Workshop several times a year, and even charges for Web live streaming of these workshop events. In addition, a 6-day retreat in California is offered for detoxification and enhancement of overall wellness for people in good health. Gerson therapy is a cure for migraine headaches. 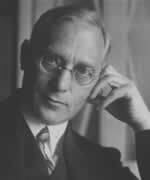 Max Gerson, MD originally developed his vegetarian and salt-free diet in the 1920s to treat his own migraine headaches. Drinking fresh raw juices was a later embellishment of the protocol. Dr. Gerson died in 1959, since then his daughter Charlotte, a layperson, is carrying on Max Gerson's work. 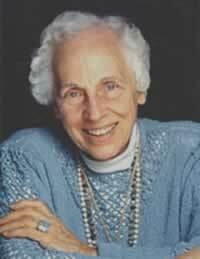 Charlotte who is now in her 90s, has had over 50 years to tinker with what is currently being billed by her as the legitimate Gerson therapy. Gerson therapy is very complex, requires that many details of its treatment plan be followed exactly, and is expensive; even when attempted at home. The recommended course of action is attending an inpatient clinic for three weeks, followed up by 2 years of Gerson therapy at home. While Dr. Max Gerson originally only specified 18 months of home treatment in his book, A Cancer Therapy: Results of 50 Cases , that figure has now interestingly grown closer to 3 years, as if even the Gerson people are aware of the fact that their therapy is NOT as effective as claimed. Gerson therapy restores health by promoting good digestion. "The whole-body has to be treated. But that is easily said. How will you do it? Little by little I came to the conclusion that the most important part of our body is the digestive tract. For all our intake to be properly digested, and for the other organs of the digestive tract to function right and help in the digestion to the end productâ€”and at the same time eliminate all the waste productsâ€”all the toxins and poisons which must be eliminated so that nothing will accumulate in our system. I thought that this was the most important thing in the tuberculosis treatment. It must be the same in all the other degenerative diseases, too. And still, up to the present, I am convinced that cancer does not need a 'specific' treatment." They claim that Gerson therapy "activates the bodyâ€™s extraordinary ability to heal itself through an organic, vegetarian diet, raw juices, coffee enemas, and natural supplements." This article presents an overview of the core beliefs of Gerson therapy for healthy individuals wishing to improve their own wellness, and for those who want to use it to treat their digestive problems. Overtime, the following sub-topics will be covered in more detail. One thing definitely missing from Gerson Therapy is the use of vitamin D supplements. Since Max Gerson never used vitamin D therapy, Charlotte has ignored the strong potential of vitamin D to prevent and treat cancer and most degenerative diseases. 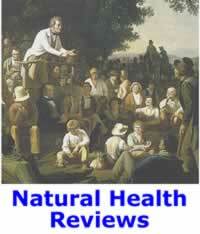 In fact, Max Gerson was against the general use of all vitamin and mineral supplements, as well as hormones. Vitamin D was on his forbidden list, as well as most vitamins and minerals were. Nevertheless, Max did rationalize a list of specific supplements that should be routinely given as a part of Gerson therapy to his patients. The other rather obvious anti-cancer therapy missing from the Gerson protocol is the use of massive dosages of vitamin C. Andrew Saul, PhD, among many others, advocate the intravenous delivery of vitamin C, along with very large oral dosages to conquer full blown cancer. The theory behind Gerson therapy is that the underlying causes of degenerative diseases is believed to be toxicity and nutritional deficiency. In other words, the basic assumption of Gerson therapy is that degenerative diseases can be cured by removing toxins from the body. Eating ONLY organic foods, thus, is considered extremely important. Infamous coffee enemas are used to allegedly increase bile production, as well as to enable the liver to handle a dramatically increased toxic workload. Gerson therapy requires juicing 17 to 20 pounds of fresh fruits and vegetables every day. One 8-ounce glass of juice is drunk hourly, thirteen times a day. Coffee enemas are given several times throughout the day. Various supplements, such as potassium, vitamin B12, pancreatic enzymes, thyroid hormone, and liver extracts, are used to promote liver and thyroid function. In conclusion, Gerson therapy at worst improves digestion, on average will improve your health, and at best can in some cases cure type 2 diabetes, cancer, and other degenerative diseases. Gerson therapy is a nutritional approach that allegedly cures cancer and other degenerative diseases. As such, it is NOT the only dietary treatment option available that allegedly cures cancer. The macrobiotic diet is the most well known diet alternative. Furthermore, it uses a number of techniques that are used in many other therapies. It is the position of the Natural Health Perspective that Gerson therapy's use of extreme juicing is its most unique feature. Drinking juiced raw carrots is a signature part of Gerson therapy. The Natural Health Perspective does NOT put any credence into its toxicity theory of degenerative diseases. Your body is quite capable of detoxing naturally due to hundreds of millions of years of evolution. For those concerned about detoxification issues, there are a bunch of natural supplements that support the liver and your digestive track that people can take. Furthermore, all of their patients probably have been eating a nutritionally deprived Western style diet of junkfood for most of their life. Thus, introducing a sudden and large flow of nutrients into the body is bound to produce favorable healing. Thus, those already eating a healthy diet and doing everything right probably wont benefit nearly as much from Gerson therapy. Certainly, Gerson therapy presents a sinister, but well deserved, picture of oncology and conventional medicine in America. Nevertheless, that does not mean that practitioners of alternative medicine do not suffer from the same profit motive. Not all reviews of being treated by the Gerson clinic in Tijuana, Mexico have been favorable. Certainly, patients gambling their lives on the Gerson therapy should demand that they experience a major health improvement, backed up by medical testing, during the first 3 weeks of their treatment, before believing whole heartedly that an additional 2 years of Gerson home treatment might possibly cure them. While success stories abound on the Web, NOT enough information is available about the failures of Gerson therapy. One well-known case would be that of Pat Davis, a TV news anchor, who died at age 39 after receiving Gerson therapy. In addition, did you know that the comedian Pat Paulsen allegedly died at their Tijuana clinic from complications of pneumonia? You should, also, be asking yourself how much faith should anyone place in a health program being run by a 90+ year old layperson, who is in charge of a moneymaking empire? In other words, who is actually running these Gerson clinics? Moreover, just how prominent has the profit motive become over the years in their operation? Gerson therapy is a long term treatment program. Indeed, there are many reasons why Gerson therapy should NOT work, on fatal diseases. Anybody who has received chemotherapy is made to wait an extra four weeks. In fact, the fine print of Gerson therapy is billed as NOT working at all for chemotherapy patients with pancreatic cancer. Coupled with an extremely long home treatment program of between 2 and 3 years, Gerson therapy seems intent upon making deaths hard to be blamed upon their treatment program. How can cancer patients abandoned by conventional medicine ever expect to survive, such an extremely long program? Thus, even if the full recommended program is done correctly at home, those treating themselves would be completely dependent upon another person for the best part of a whole month, followed by a less intense home treatment program of 2 years. Buying a specific list of 20 pounds of organic produce, daily, would be extremely challenging and expensive, for anybody. Furthermore, a number of deaths have been attributed to people who took certain aspects of Gerson therapy, too far. Furthermore, the Natural Health Perspective seriously questions any health program that does NOT make supplementation with vitamin D an important part of it. Surely, people suffering from full blown cancer who are interested in alternative treatments should take large amounts of vitamin D daily, under professional supervision? Combine Gerson therapy along with the use of massive dosages of both vitamin D and C and you got a protocol that is far more likely to actually cure cancer. While the appeal to detoxify with enemas is popular with many people, the Natural Health Perspective does NOT recommend their use on a long term basis, if at all. There are a number of supplements that one can take that reportedly support the important life functions of the liver. In terms of of prevention, Charlotte Gerson is an excellent motivational speaker who consistently delivers a positive message. Knocking conventional medicine is easy, and nothing to write home about. Nevertheless, how can Charlotte claim that Gerson therapy cures cancer, while steadfastly refusing to offer any firm statistics on successes versus failures, broken down by specific diseases? The lack of hard data is forcing people suffering from fatal diseases to depend upon Charlotte Gerson's homespun stories. That fact hardly provides a lot of comfort to anybody on death's door. Gerson Therapy can be used to improve digestion and even cure digestion problems. Why then might the Gerson therapy work at all? Certainly, flooding the body with nutritious juices could conceivably heal the body by boosting the effectiveness of the immune system. But just as obviously, there are more ways than one to boost the immune system. In addition, it appears that the protocol can improve digestion, as well as the ability of the digestive track to remove toxins from the body. While Charlotte Gerson did not go with the anti-cancer benefits of vitamin D, she did go with iodine, which is naturally contained in carrot juice, as well as in their use of Lugol's 5% solution. Our Modifidy Gerapy Protocol for improved wellness. Using natural juicing to prevent nutritional deficiency and improve digestiion, when done in moderation, is nutritionally sound advice. Certainly, vitamin D should feature prominently in any well-rounded health program. In addition, drinking a more reasonable amount of juices would be advisable. Surely, a 16-ounce glass of juice with each meal, plus one upon arising, and another just before bedtime would be more than enough. In addition, eating a largely plant-based diet and taking appropriate nutritional supplements would be advisable for anyone. NOTICE: No claim is being made about the therapeutic value of the Gerson therapy, treatment, or protocol to cure cancer or degenerative diseases that is mentioned on this article. Accordingly no guarantee is being made concerning the completeness and accuracy of the information presented on this Web page. This article was originally published on 02/03/2013. Dietary considerations in malignant neoplastic diseases; a preliminary report. Effects of a combined dietary regime on patients with malignant tumors. Experimental Medicine and Surgery, Volume VII, No. 4, 1949. No cancer in normal metabolism; results of special therapy. Med Klin (Munich). 1954 Jan 29;49(5):175-9. Cancer, a problem of metabolism. Translated from "Krebskrankheit, ein Problem das Stoffwechsels"
Medizinische Klinik No. 26, June 25, 1954.